We are in the Digital Era, I know! But I still believe in the power of writing, the traditional way of writing, with a notebook and a pen! You can call me old school, I don’t mind. What I´m sure is that a pocket notebook is my best friends since I started travelling [don’t be sad Rob, you are my love and 2nd best friend]. For almost a year, I was writing down my feelings and information on an ordinary notebook, and I was quite happy whit it, until last month when I discovered Word Notebooks. Then I realize that I could keep all my stories in a better format, with additional details and even looking more stylish. I had the opportunity to receive from Word Notebooks a Notebook and an Adventure Log to try them out. I truly loved them. The pocket-size, the functional layout, the colors and their own system for taking notes help you with everyday tasks and brilliant ideas. The Word Notebooks Adventure Log is my new best friend [yes, I change my mind easily, but not all the friends are replaced, just the ones that deserve it]. 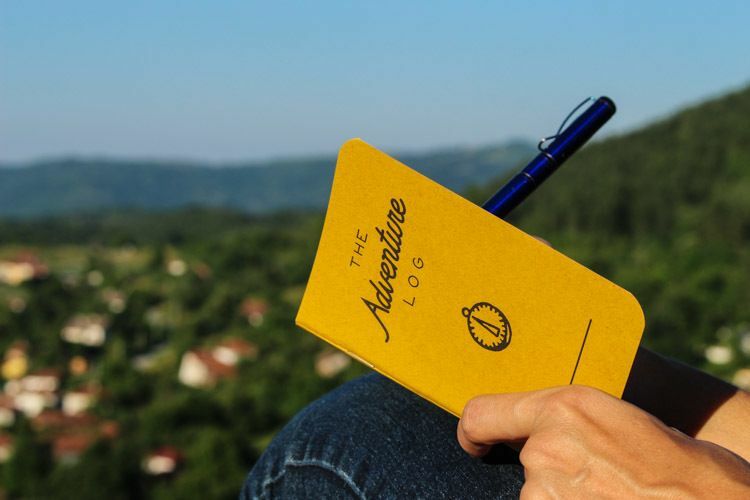 The Adventure Log is a cool way to organize your travel notes. Each page has call outs for location, date, conditions of your trip, and whom you are travelling with. You just need to fill the pages and your travel diary is done! Memories recorded for a lifetime. I’m a writer, so you had be at notebooks. Technology is great, but I still love having a good old fashion pen and a notebook.